As a design nerd, I found myself in a conversation with the other 3rdViewers about service design and its history. Whilst service design has matured as a discipline in the 21st century, it’s still quite new; if architecture is the grandfather of the design discipline, Service design is still ‘in utero’. 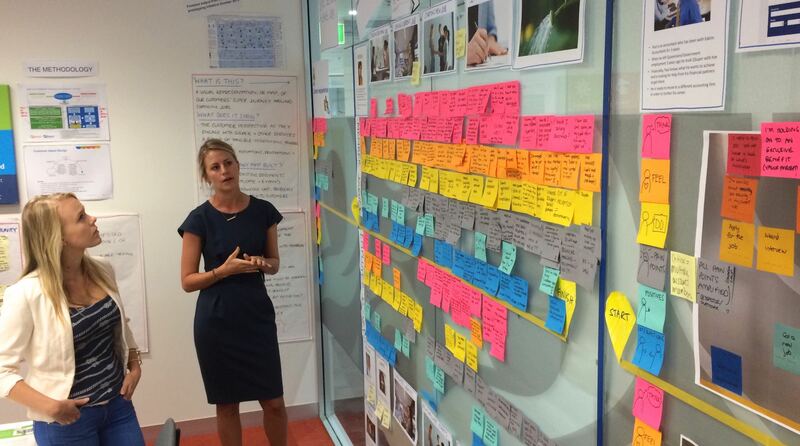 When I think about the discipline, I realise that we’ve only just begun to write the history of service design. This revelation becomes more interesting if we consider each period’s morals and they influenced the mediums produced. Since we missed rococo by about 200 years, I figured that it was my duty as an amateur design historian to muse how these classic design styles corresponded to the modern services that we know, and how they might change if they were designed in a different period. But service experiences don’t really have a face, so how applicable are these historical aesthetics their conception? Well to that I say that these styles were not created in a vacuum. The artefacts produced by our predecessors were the physical manifestation of philosophies, perspectives and principles of their time, be it the renaissance’s rejection of divinity in favour of logic and order, or the arts and craft’s celebration of imperfection and humanity; it’s the milieu of these times that inspired the forms we think of today. Therefore, I will use these values as the link between past styles and modern services. As a quick aside, my undergraduate history classes predominantly covered western architecture and industrial design so unfortunately this list will be biased towards these styles. I’m a design nerd however, so I’d love to learn some additional history from the comments and how it applies to the services mentioned below! So with that said, what’s on the wall? For this thought experiment, I’ve decided to focus on services which help us organise and eat food. Partly because food formed a strong point of focus for my research, partly because it’s something that everyone does and can relate to (which also means there’s many different services available!). All of which make it much easier for me to draw some comparisons at the end. So with the introductions completed, lets dig in! 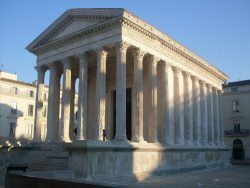 While I could have started with Monolithic and Pre-Historic Architecture, I’ve decided to start with Classical and Romanesque architecture as these styles are considered the point of origins for western architecture. So what characteristics would I used to distinguish this aesthetic? The Greek’s fascination with nature, divinity and the golden ratio inspired an architectural style driven by order and logic, and math. The result of which was a seemingly straightforward and subtle aesthetic which emerged from an invisible depth of consideration and complexity. After translating these features in my head, how would I characterise a classical service? 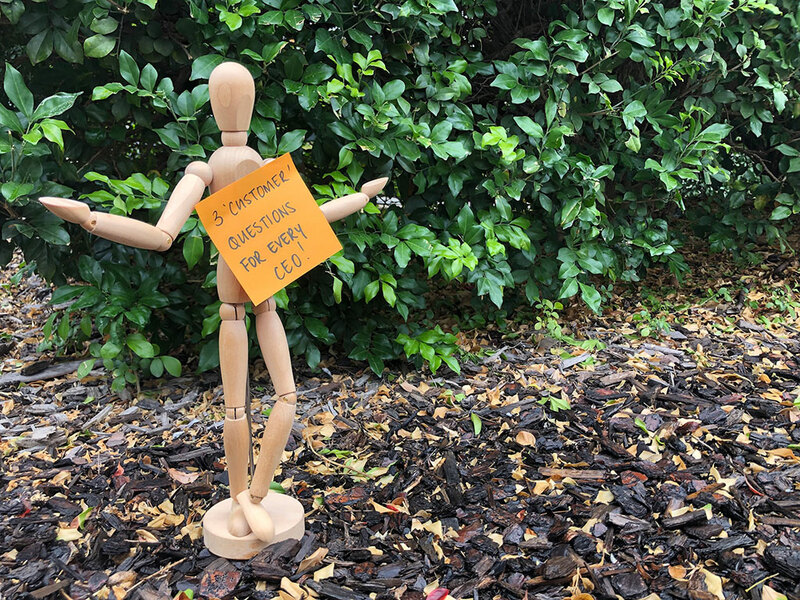 Despite their seemingly basic function, classical services are born from the deep consideration of customer problems which are addressed in a straightforward manner. Furthermore, their continued resolution of these problems mean that some classical services are quite established, having facilitated their purpose unchanged for a very long period of time. These attributes considered, a ‘classical’ food service that instantly comes to mind would be a grocer. Its purpose within the customer’s life is to form a bridge between them and produce is relatively simple yet highly necessary. And despite increases in scale, technology, product variation, and logistical complexity, the customers perspective of the grocer’s role has remained relatively unchanged for 100’s of years. 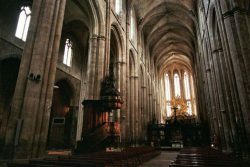 Emerging as the archetypal model for Christian churches, Gothic architecture is characterised by tall vaulted ceilings and large iconic windows which stretch towards the heavens. For those who visit, these features incite awe as height and light are used to remind them of their sense of scale and place in contrast to a higher natural order. Through its predominant use by the church, Gothic architecture emerged as a central point for community, hierarchy and faith in feudal towns experiencing rapid growth. So when presented with these attributes of scale, community, hierarchy and faith, I’ve found an unexpected parallel customer experience in the exclusive Le Dîner en Blanc event; hear me out. Hosted annually all around the world, this invite-only ‘chic picnic’ is where you grab your finest white garments and dining accoutrement, the folding square table, and go to a designated pickup area where you will be ferried to a mysterious location. Upon arrival, patrols are instructed where to set up, when to eat, when to dance and when to disperse. Finally, whether rain or shine, attendance is mandatory (they will allow white or transparent umbrella’s and overcoats however). So how does this experience compare to the gothic themes I presented before? The Le Dîner en Blanc experience has a strong community aspect (1000’s of diners all dressed in white), an established hierarchy (strict clothing, food and equipment rules) and strong faith from its patrons (mystery location and mandatory attendance). But despite patrons surrendering to the strict instruction of Le Dîner en Blanc, their enactment of this dining ritual unites an almost unaffiliated community through a unique experience. What could be perceived as a restrictive and domineering experience, the gothic services instead create a sense of community through its transcription of process. Emerging from a change in artistic direction, The Rococo style emerged from French artists with a strong interest in asymmetry, nature and detail. As this style translated to architecture, it resulted in interiors and furniture that were decadent, highly ornamental and lavishly decorated. Consequently, this high attention to detail and craftsmanship ensured that Rococo style could also only be afforded by the ruling elite at the time, where it was found in palaces and the newly invented parlour room. Transferring these characteristics to an experience, I have determined the characteristics of a Rococo service as lavish, exclusive, decadent and striking. So what food service have I identified as representative of a Rococo experience? Why a number of restaurants and bars situated within Dubai’s! 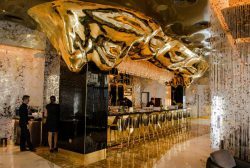 Bars such as Gold on 27 use interior furnishings dressed top to bottom in gold leaf, and decorate their drinks with consumable ‘gold snow’ to create the ultra-elite tourism experience, where those visiting are guaranteed to engage in a unique encounter that only a select few can afford. When contrasted with other service styles, the user’s experience is not determined by the utilitarian purpose of sating hunger (good luck), but rather to engage in the ceremony and splendour that accompanies the food. When considering a user’s benefit from this experience, edible gold leaf has no taste and is biologically inert, but it’s the social properties attributed to the material which gives it value; the customer’s consumption of gold subsequently imbues them with gold’s social properties, elevating their perceived status and standing in the world. 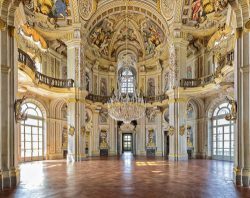 In contrast to the previously discussed Gothic experience, Rococo services use extravagance and superfluous moments to impart sensations of prestige and opulence to an often-exclusive user group. Let’s say this together! Form follows function. Now that we’ve got that out of our system, let’s look at where this design psalm originated from. During the first half of the 20th century, a number of very serious architects and industrial designers saw the devastation from the first world war and decided that an analytical and scientific approach was essential to the creation of products and architecture fit for a Utopia. From this perspective, Modernists endeavoured to use the purpose of an artefact to inform what form and material traits were appropriate. This infatuation with functionality informed a design movement which emphasised the strategic application of modern industrial materials and techniques, and held a severe distaste for superfluous ornamentation. 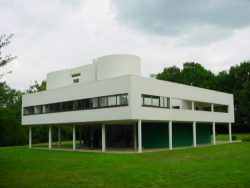 This resulted in products and an architecture which were minimal in its aesthetic, rejecting the flowing and decorative styles of their pre-war creatives. 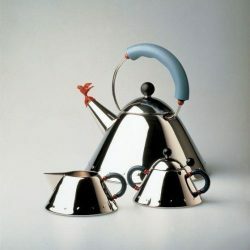 But in striving for an aesthetic focused on technology, function and material, Modernist design was also considered to be quite impersonal and inhuman. So what kind of dinner service do I believe would appeal to the Dieter Rams’ and Le Corbusiers of the world? My justification for why meal kits characterise a modernist experience is because the means in which the service characterise Modernist ideas of using technology in a strategic and no-frills way to fulfil a useful function in the user’s life. 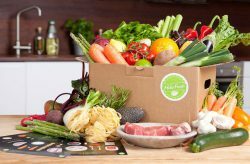 Much like the modernists of the 20th century, HelloFresh achieves this by using modern technologies such as the internet, just-in-time logistics and nutritional expertise to address challenges associated with the modern dinner such as full-time work loads, low cooking literacy and poor nutrition. Despite sacrificing personal food preferences, the service’s preselection of meals and aggregation of corresponding ingredients enables the delivery of precise ingredient quantities to mitigate food wastage. So while the actual consumption experience is nowhere near as memorable as the other experiences described on this list, a modernist service’s facilitation on the functional elements of a user’s activity supports their endeavours in a meaningful way. While the modernists rebelled against the decorative preferences of their predecessors, another group of designers got sick of the black turtlenecks and glasses (but not really, we’re designers after all). As time passed, these designers began to question just how appropriate modernist design was; a primary concern being that we’d forgotten what feelings and fun were. Instead, these designers threw form follows function to the wind and in its stead, form follows emotion was adopted. Post-modern designers scream that surprise, novelty and amusement are just as important to the human experience as being able to use the thing. Their reasoning being that if the pursuit of pure functionality comes at the cost of an impersonal and bland experience, a perfectly functional design is moot if the user never wants to use it again. Thus, in sheer rejection of their contemporaries’ modernist ideals, Post modernism uses comparison critique and surprise to cheekily create something unexpected for the user to experience. So what could be defined as a post-modern service experience? While I could have selected pretty much anything done by Heston Bloomingthal, I’ve chosen Sublimotion. 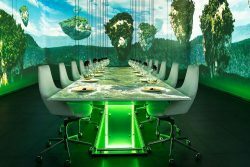 Sublimotion captures a post-modernist service perfectly by its creation of a themed event which expands beyond the consumption of a meal. Upon arriving, Virtual reality, augmented reality, edible props and spectacle are used to a visceral sensation of delight and surprise within the user, where the act of nourishment takes a back seat to the creation of emotion. Thus, much to the scoff of 1950’s modernists, patrons of a post-modern service are likely to excitedly describe the sequence of events just as much as (if not more than) what was eaten that night. Post Modernism: the user wants to be amused and tantalised. In recognising these values, it makes it possible to distinguish services that at face value may share the same attributes, but provide an entirely different experience to the user. For instance, Sublimotion’s whopping $2500 price for a seat at that table easily falls within the exclusive experiences found within Dubai’s luxury hotels. Furthermore, each experience isn’t derived solely from the food, but the spectacle that accompanies them. But post-modern experiences differ in the type of experience created, where the user’s sense of surprise and amusement are used to create joy. However, the experience offered by Sublimotion’s differs from that of Gold on 27 by appealing to the customer’s visceral sense of surprise and amusement rather than status, excess and social standing. Outside of this surface level means of evaluating the experience of existing services, these service styles could also be a fun shift in perspective to inspire alternative experiences for existing services. For instance, if you’re founded a “classical” service experience and you’ve got quite a few competitors, it might be time to consider another experience or risk antiquation. Rather than developing an app that does more of the same (i.e. engaging in some Neo-classicalism), maybe it’s time to dabble in a gothic experience by developing a central community, or creating some spontaneous, if not superfluous fun through post-modern service. So that’s my casual exploration into design history, the values behind them, and my fun Buzzfeed’esque comparison to service design styles. What I’m about curious however is what we can learn from contemporary design trends. Sustainability (both environment and social) have proven to be prominent new areas. 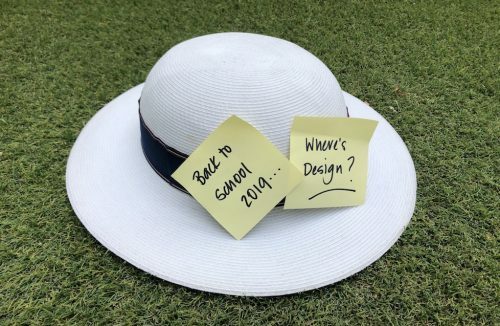 Only this time we can help – if we have industrial designers creating biodegradable furniture, what form will it take through sustainable service design? As UX researchers examine privacy and individual rights, what form does the service take on?